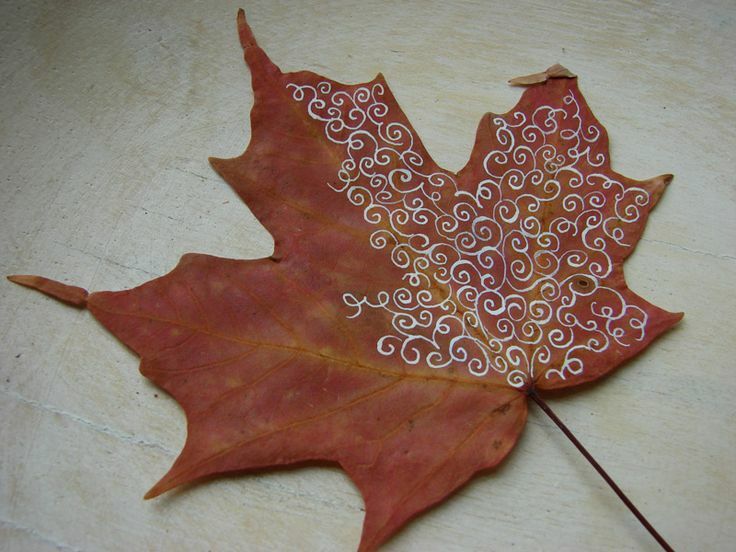 Need creative ideas how to preserve the captivating beauty of fall leaves? Have a look at these crafty DIY ideas for inspiration! Fall is a special time of the year that never seems to last long enough. Just imagine all these fascinating fall colors! 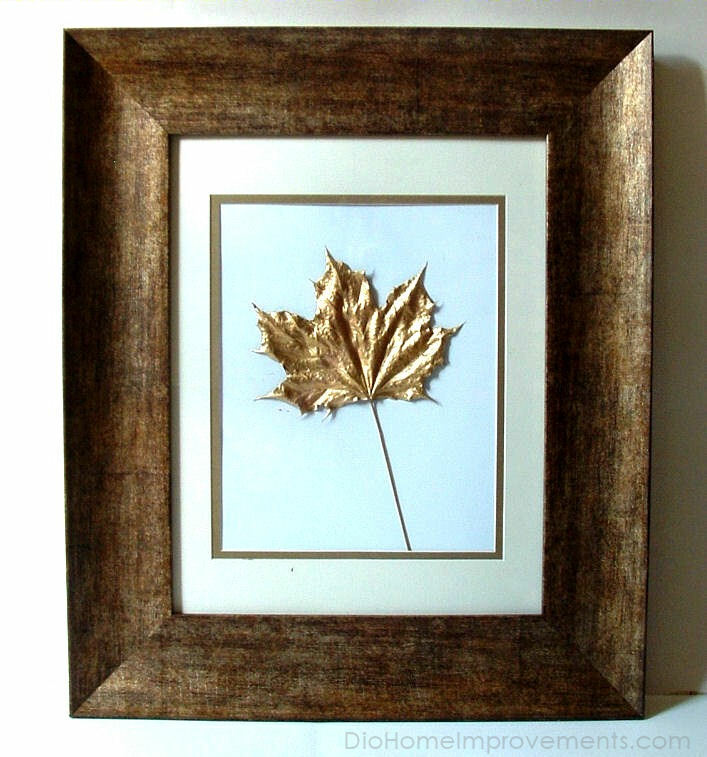 Turning your favorite fall foliage into fascinating pieces of art is an affordable way to bring nature’s beauty and magic indoors. From leaf prints and leaf garlands, to leaf confetti and painted leaves, whether beautifully framed or arranged in vases, the options are countless, your only limit is your imagination. Plus, some DIY projects are simple enough to get your kids involved. Do you decorate your living space with fall leaves? 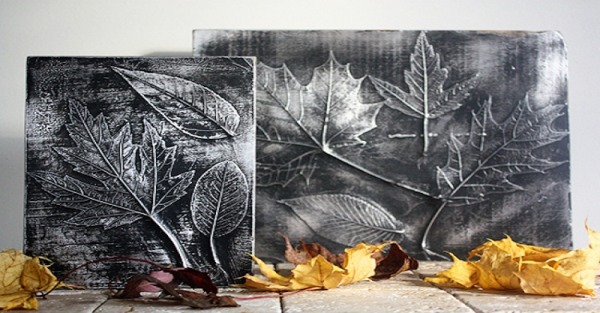 Although fall leaves look beautiful on their own, you can enhance their look and turn them into a real piece of art. Let your children take part in decorating. Help them doodle different designs on the leaves. The above- shown one is simply gorgeous, isn’t it? 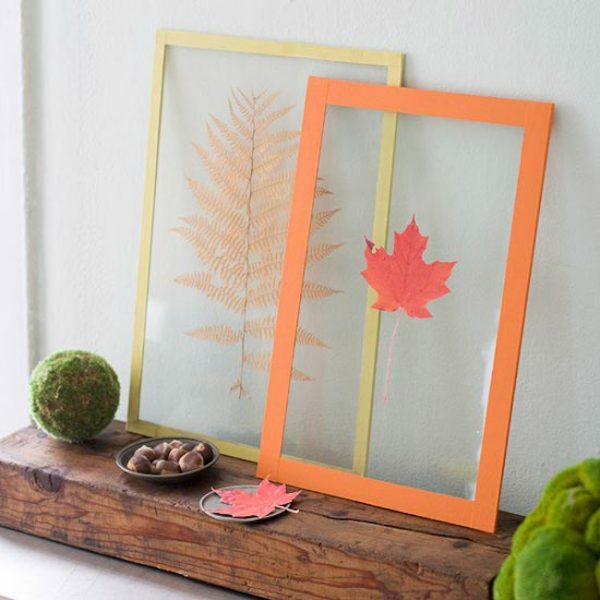 To really highlight the bright colors and natural textures of already pressed fall leaves, keep them pressed between two pieces of clear plastic or glass, and then frame them. 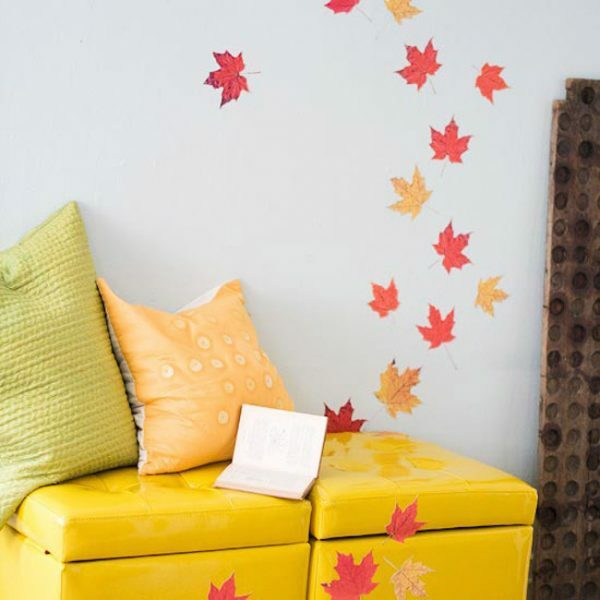 You can go a step further and attach leaves in a falling pattern directly to the wall (and even to furniture) or frame a bunch of them and hang on the wall in a large grid. 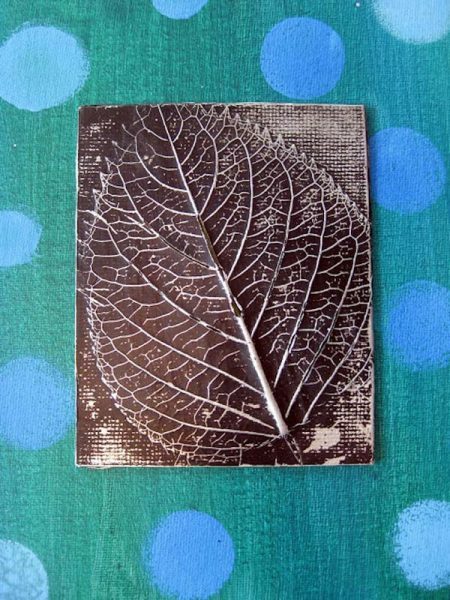 You can get really crafty with a truly amazing leaf relief project for a metallic or fossilized look. An absolutely fantastic piece of fall décor! With the holidays getting closer, instead of leaving your leaves naturally colored, you can spray paint them in gold or silver for a gorgeous yet simple holiday look. What an easy and affordable way to add sophistication and sparkle to any space! You already have lots of framed art in your home? Then, you can swap out a photo for a simple pressed leaf and a plain piece of brown paper. 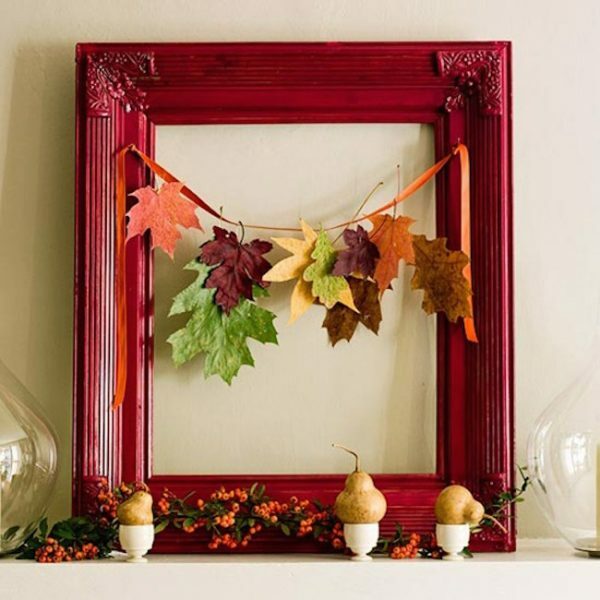 For a slightly different look, combine a frame with a garland of leaves. Definitely a statement piece of fall décor! You want to go bigger? Spray your leaves with an acrylic sealer and hang them from a string by their stems. Alternatively, you could even cut out pieces of paper instead as a banner and attach leaves to them.